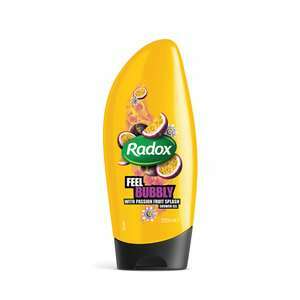 Following description from Radox website "Intense and exotic, one splash of passionfruit and you hear the sound of a cascading waterfall. A one way ticket to an island paradise. Just close your eyes and go!" All I can say is it smells like you can eat it. Leaves you smelling passion fruity and a bit citrusy.